Sutton St. Nicholas was part of the Long Sutton sub-district of the Holbeach Registration District. You can also perform a more selective search for churches in the Lutton area or see them printed on a map. The Anglican parish church is dedicated to Saint Nicholas. Guy ERWOOD has a photograph of Lutton church on Geo-graph, taken in April, 2004. The Anglican parish registers exist from 1538. Check the East Elloe Deanery page to see which indexes are available. The Baptist Unitarians had a chapel here, closed by 1870. The Primitive Methodists built a chapel here in 1834. For information and assistance in researching these chapels, see our non-conformist religions page. 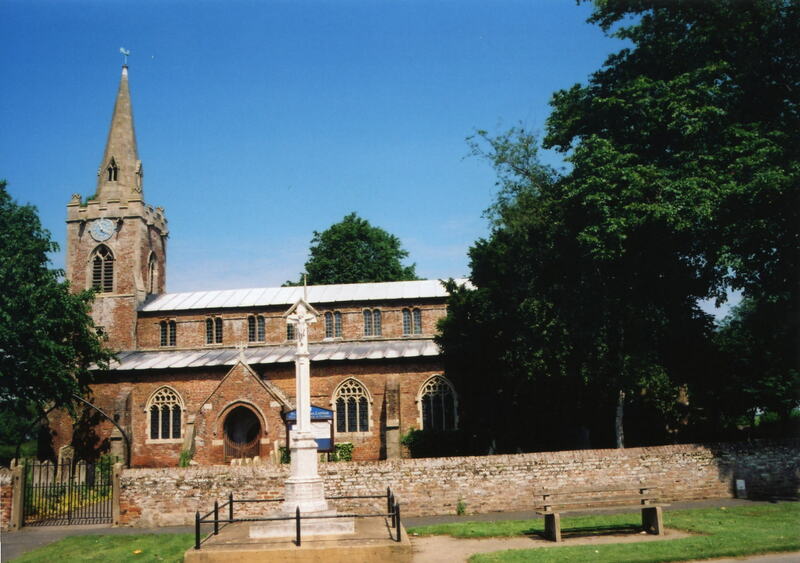 Sutton St. Nicholas (also known as "Lutton") is a parish about 105 miles north of London, a mile north off the A17 trunk road that runs between King's Lynn and Holbeach, which is four miles to the northwest. Gedney parish lies to the north and west. The Wash forms the eastern boundary. The area is marshy, drained by several small canals. The principal village is Lutton (or Lutton Bourne). In area, the parish covers 3,777 acres. Ask for a calculation of the distance from Lutton to another place. You can see the administrative areas in which Lutton has been placed at times in the past. Select one to see a link to a map of that particular area. Sutton St. Nicholas is considered the original parish of the cluster of "Sutton" parishes in the Holland area. In 1332, the area was one of the most populous in Lincolnshire, with over 5,000 inhabitants. To avoid the plague, several wealthy London merchants settled here in 1603. Dr. Busby, the celebrated master of Westminster school, was born here in 1606, and buried in Westminster Abbey in 1695. The parish erected a pillar surmounted by a carved Jesus opposite the churchyard as a memorial to the men of Lutton who fell in World War I. There is also a Roll of Honour inside the church. Caroline RICHMOND provides the names from the Lutton War Memorial. The name Sutton St. Nicholas is from the Old English suth+tun, or "southern village". The name Lutton is from the Old English luh+tun, or "farmstead by a pool", and appears as Luctone in the 1086 Domesday Book. The name Lutton reputedly comes from "lode town". The lodes (or drains) in the area pass through the parish. Lutton was made a Civil Parish in 1894, formed out of Long Sutton. It had been formed as an ecclesiastical parish in 1882, again out of Long Sutton. The parish was in the ancient Elloe Wapentake in the South Holland district and parts of Holland. For today's district governance, visit the South Holland District Council site. Bastardy cases would be heard in the Elloe (Spalding) petty session hearings. After the Poor Law Amendment Act reforms of 1834, this parish became part of the Holbeach Poor Law Union. Some population changes were due to shifts in parish boundaries. A National School was erected in the parish in 1848, at a cost of 600 Pounds, by the Reverend E. L. BENNETT. In 1870 it had 100 students. A School board was formed here in April, 1871.